Weekly Wine Journal is an internet based weekly publication which reviews wine and wine events. Weekly Wine Journal is based in Phoenix, Arizona. If you’re not familiar with the wines of Oregon you might think that this is some back country little mom and pop winery – it’s not. 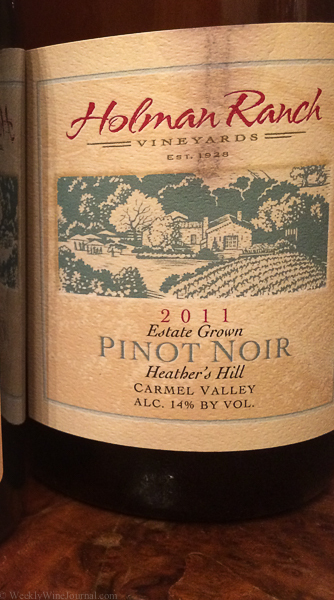 Although founded by mom and pop, they’re one of America’s leading Pinot Noir producers. They are world class. 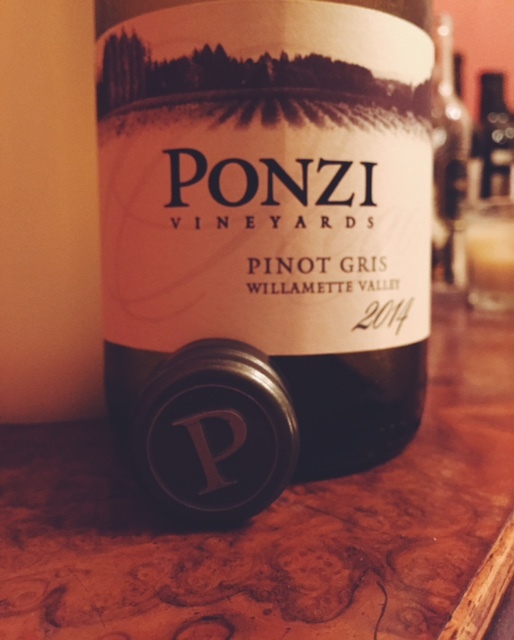 Ponzi Vineyards was founded in 1970 and released its first vintage of Pinot Noir in 1974 and in 1978 they planted Pinot Gris. 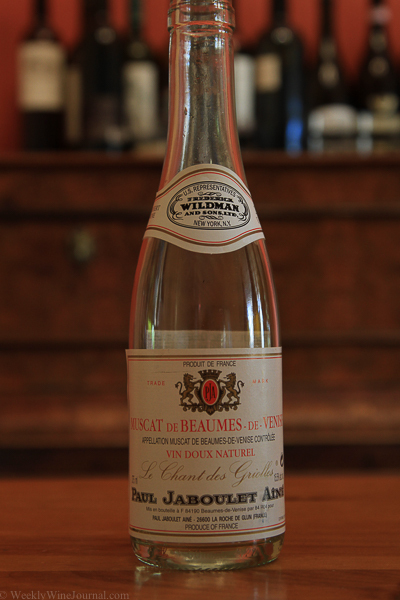 Starting in the mid 1980’s Robert Parker (Wine Advocate) and other critics began to take notice. In 1985 Parker wrote that Ponzi’s Pinot Noir was comparable to the world’s great Burgundies and in 1987 Ponzi made the Wine Spectator’s top 100 list for the first time. And most recently the February issue of Wine Enthusiast gave Ponzi’s Chardonnay 96 points. Over the years the family has purchased more and more land and in 2008 they built a 30,000 square foot state of the art gravity fed winery. Sisters – Luisa and Maria are the 2nd generation of Ponzi’s at the helm and have been running the business for the last 20 years. Ponzi vineyards currently have 129 acres under vine on 4 different vineyards. I will admit right here that I was not as familiar with Ponzi or even the wines of Oregon before trying this wine. I had no idea what to expect, other than it’s a Pinot Gris, which is supposedly pretty much American Pinot Griggio. I was wrong! This wine has a wonderful floral nose but the palate is where it really shines. Tropical fruit with a heavy dose of citrus, but extremely clean and focused if that makes sense. The suggested retail on this wine is only $17, I think it’s a fantastic deal. I’m thinking they could easily charge $25-$35+ for this wine. Oregon’s weather is typically much cooler than their neighbors to the south – California. Typically, the cool weather produces wines with more acidity. Oregon is very well known for it’s cool climate wines such as Pinot Noir. But 2014 was a very different year for Oregon. 2014 was one of the warmest on record, but not because of the daytime high temps…it was because of the overnight lows were much higher than normal. According to Ponzi this “accelerated ripening despite large crop loads and harvest began at the very beginning of September.” Basically it means they had a killer year, and this wine will have some elements of warmer climate Pinot Gris, while still maintaining the cooler climate characteristics. I’m thinking this wine is going to be integral to my 2015 summer activities. The Faust wine label is often (and incorrectly) thought of as Quintessa’s second wine, or Quintessa jr. Although Faust is made at and aged at Quintessa by the same wine maker, Charles Thomas – the fruit is different. Quintessa is a pure expression of a single estate vineyard in Rutherford. 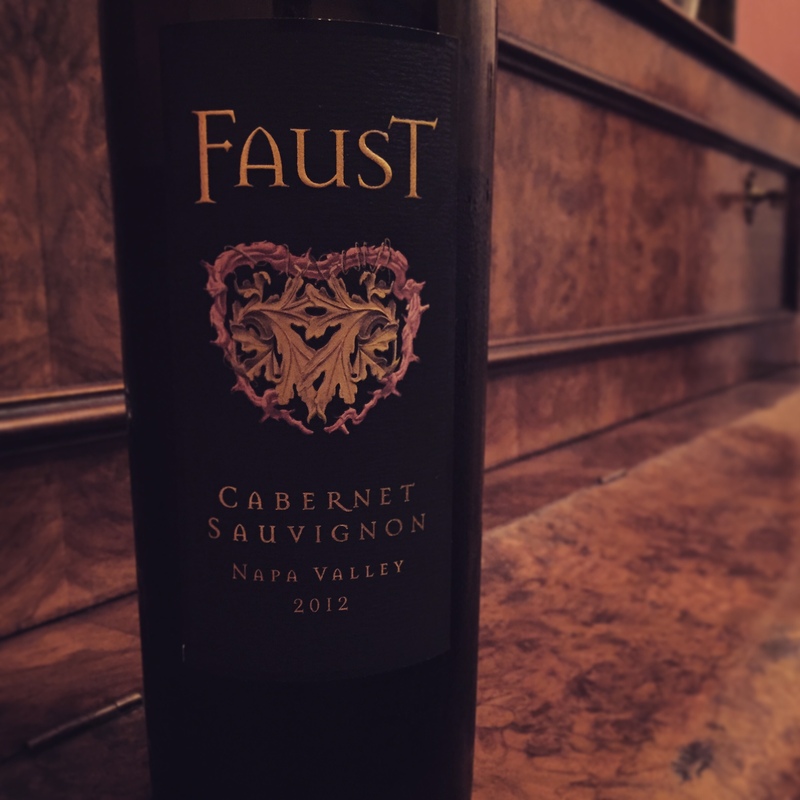 Faust is sourced primarily from it’s own 110 acre vineyard in the Coombsville AVA. Although there is enough fruit from Rutherford, Atlas Peak, Mount Veeder and the Oak Knoll District to be designated “Napa Valley”. So now that we’ve got that clarification out of the way…hows the wine? Before I get to that here’s a little more on the production: The 2012 season in Napa was pretty much ideal according to many. There was a long harvest season without any major rains during harvest. 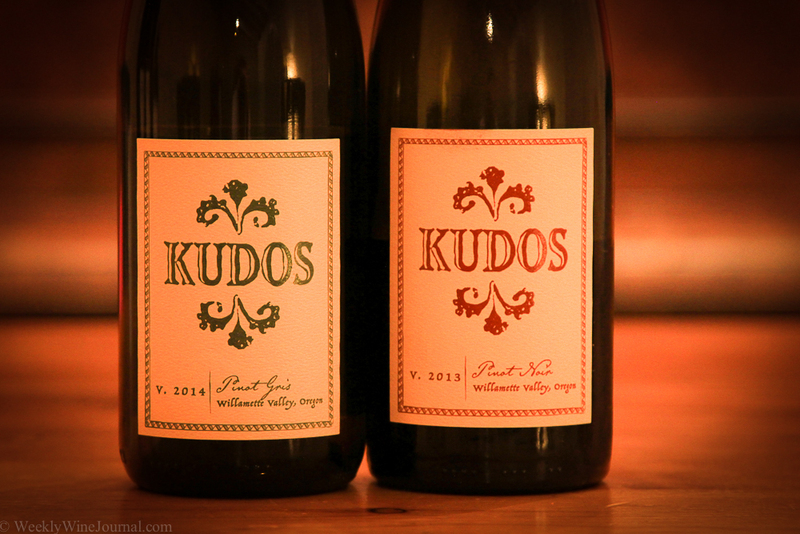 This wine underwent “Extensive selective picking” according to the folks at Faust. Why do they do this? Optimal grapes usually means optimal wine. “These grapes were hand picked, double sorted and crushed, then cold soaked and fermented in both French oak and stainless steel tanks. After extended maceration and malolactic fermentation, the wine was aged for 19 months in 100% french oak, with 30% of the oak being new.” – from the Faust sell sheet. I’ve read a few sell sheets writing this website for the last 6 years, and I really like that simple succinct description. This wine is intense. If you like big bold Cabernets that pair well with a big juicy Rib Eye steak this is the wine for you. Although there are subtle elements to the wine, it is predominantly a powerhouse. Red plum, black cherry, cassis, cocoa. Also espresso and an almost cedar like forest like element. The tasting notes say sandalwood, which I can see as well. Although the wine can be enjoyed now, it should benefit from a little more time in the bottle, and or some decanting. That’s impressive. And then there’s Cameron Hughes. This wine retails for $32 on his website, with a total production of just 500 cases. 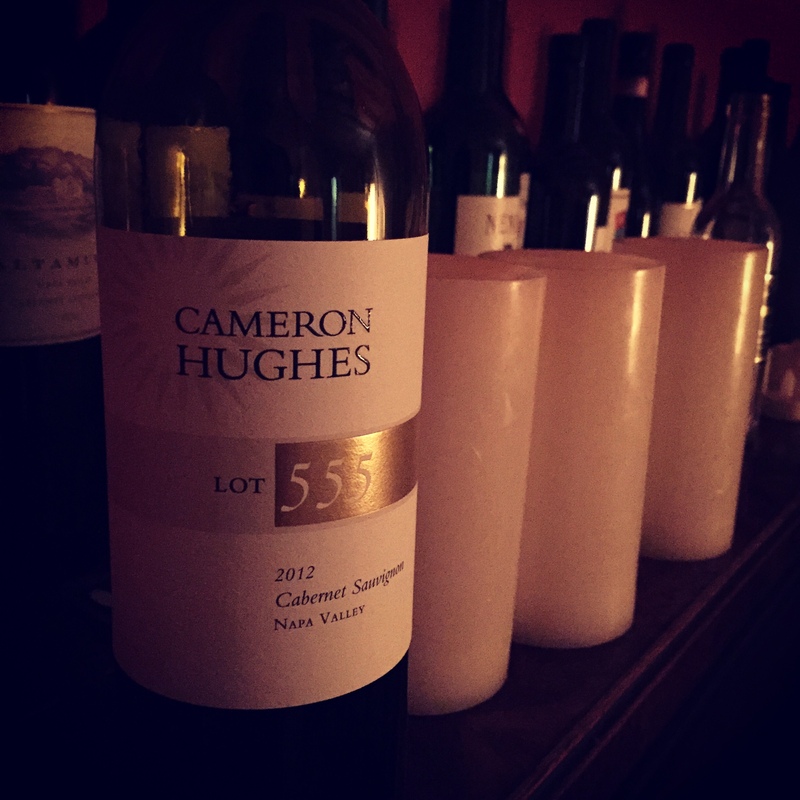 Lot 515 is a blend of 95% Cabernet, 3% Malbec and 2% Petit Verdot and weighs in at a whopping 15.4% alcohol. The wine is dense and dark and so packed with fruit that over the course of the 3 nights I sampled this wine, the only time I noticed heat was on the last few sips, and even that wasn’t all that unpleasant. There are some nice mineral notes interlaced in with the predominately blackberry and licorice palate. The nice thing about this wine is that although it may get better with age, it is really very much a drink now kind of wine. You won’t be committing wine infanticide by drinking this wine withing the next few years. Especially if you’ve been used to Cabernets from Napa. 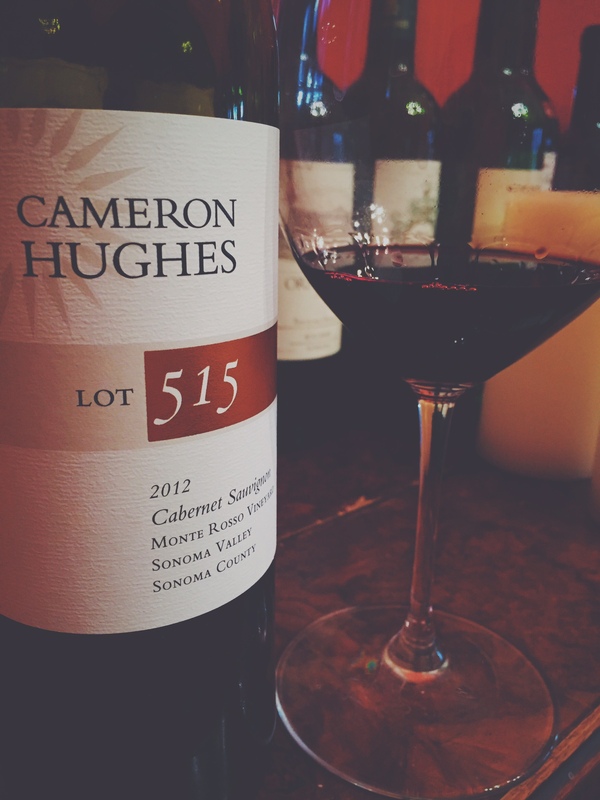 I’m a huge fan of Napa cabs, but Lot 515 is definitely a wine I can appreciate. *wine purchased with my own hard earned $$. According to Cameron Hughes ( aka “Cam”) this wine was actually the biggest release of 2014 for the wine negociant. By biggest he does not mean most cases produced. Only 1,000 cases of Lot 555 were made, what he means is big, as in a BIG wine sourced from one of the top producers in Napa. The wine was sourced from ” a fantastic estate in Rutherford deeply rooted in classical traditions and family winemaking heritage. Its vineyards are certainly amongst Napa’s finest, and definitely in the discussion for the top 10.” According to Chwine.com. Interesting, the label says Napa Valley, which tells me that either there was something in the Non Disclosure Agreement with the producer and or the base wine was back blended with other A.V.A.’s to the point that it could longer be considered a pure “Rutherford District”. The first thing I noticed after opening the bottle is the cork. I’m not sure if all of Cameron’s wines have switched to the plastic/rubber cork, but I was certainly surprised to see it. Maybe I’m a full blown wine snob, but for some reason the synthetic cork really rubbed me the wrong way. This wine retails for $29 and comes from one of the top 10 vineyards in Napa, I thought there was a bit of a disconnect with the “cheap” enclosure. Maybe I just need to get over it, like I did the screw cap bottles, eventually. The next thing I noticed is the wine is good. It’s great. Classic Napa Valley floor nose and palate. Rich bold, powerful, notes of plum and blackcurrant intermixed with tart raspberry. Fine “dusty” tannins and espresso round out the finish. Right now the wine is very young. The wine is astringent and mouth puckering at this point even after 24 hours of decanting. This is definitely a buy and hold wine for the short term to medium term. I bought 6 bottles of this wine and I’ll revisit Lot 555 in about a year from now at the end of 2015 to see how it’s coming along. If it plays out like most of Cams other “big” wines, I’ll be wishing I had bought more. Unfortunately, storage has become a problem for me and without a significant investment in temperature controlled storage, I’m going to have to hold off on adding more to my collection for the time being. Sometime in the 1940’s Clarence Holman purchased a 600 acre ranch located about 15 miles south-east of Monterey from financially troubled businessman Gordon Armsby. But the history of ranching in the area dates back to a time when the land was still part of Mexico. In the 1950’s the ranch became a kind of gentleman’s retreat and hosted celebrities like Clark Gable, Vincent Price, Joan Crawford and Marlon Brando. Clarence and his wife Vivian eventually passed away in 1962 and 1981 respectively. Vivian managed to keep the tradition alive but after her passing things stopped. For a while. In 1989 there was a rebirth spear headed by a lady named Dorothy McEwen. 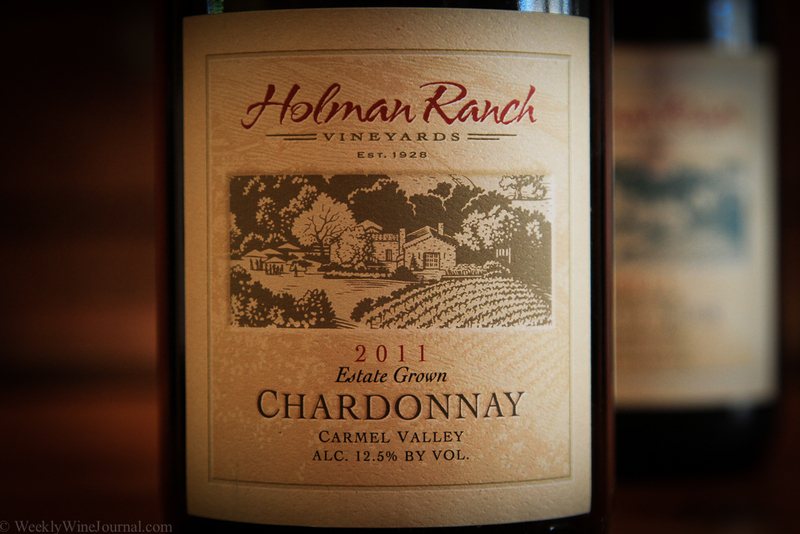 Dorothy began restoring the ranch to its former glory and had plans to develop a winery. But she passed away in 2005 before this could be accomplished. Finally, Thomas and Jarmen Lowder purchased the property in 2006 and set about a complete restoration and development of the winery. It took 3 years to complete the transformation. The ranch is now an award-winning venue for weddings, winning awards from Wedding Wire and Wedding Industry Experts. Currently there are about 21 acres under vine producing Pinot Noir, Pinot Gris, Chardonnay, Sauvignon Blanc and Rose of Pinot Noir. The Ranch also produces a small amount of olive oil from 100 olive trees. I’m a big fan of olive oil and use it in at least one meal a day if not more. 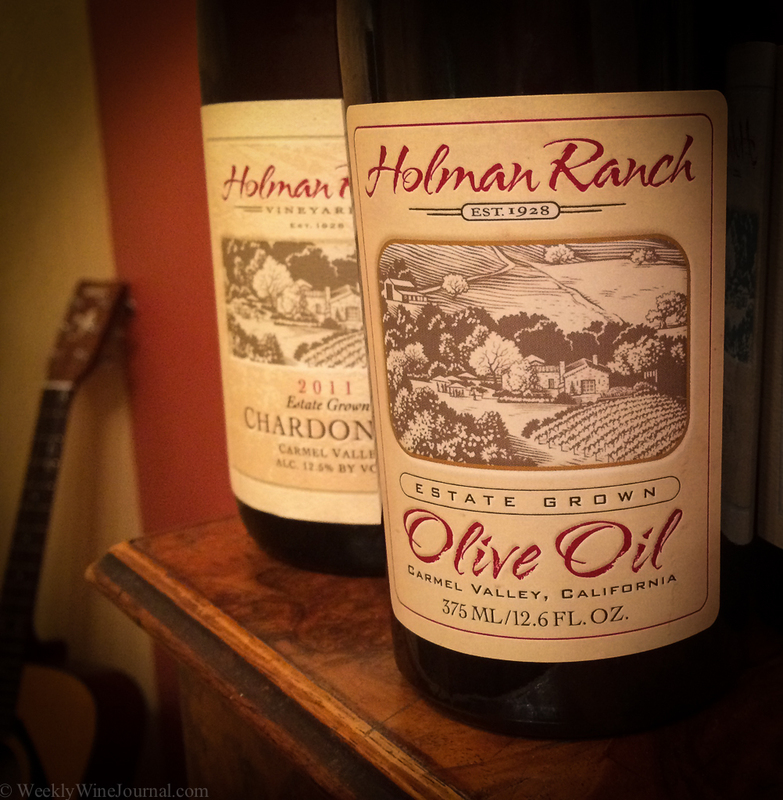 When my wine review sample arrived from Holman ranch, included in the package was a 375ml Port style bottle of olive oil. I’ve since used up all the oil inside, but since the bottle is so interesting, I’ve kept it, refilling it with olive oil from Costco! Instead of a screw cap, this bottle has a cork enclosure, with a cap on it which adds a very nice touch. But how is the olive oil? It is fantastic! Use it in salads with balsamic vinegar, use it for dipping bread in. The flavors are unique. I read up on the production and the oil is actually a blend of six varieties of olives all estate grown. Even more interesting is that olive trees produce olives in an alternate bearing fashion. This means that every second year a harvestable crop happens. 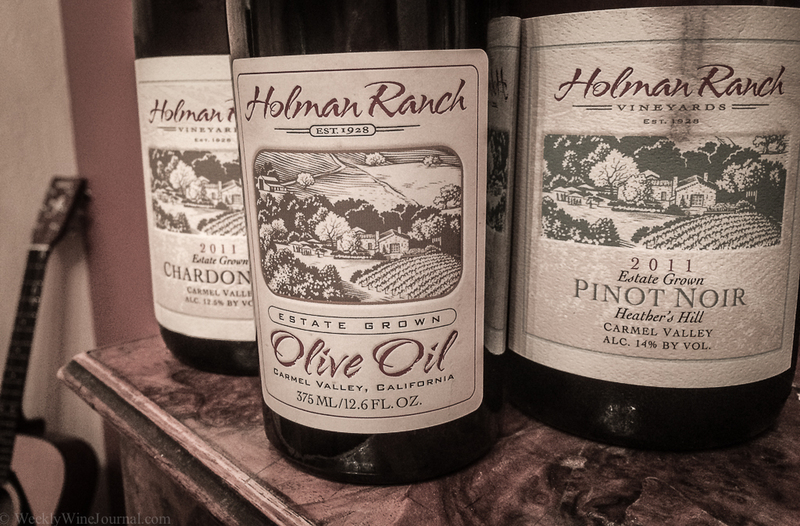 In the case of Holman ranch the 100 trees produce about 600 of these little bottles one year and only about 50 the next. The olive oil retails for $25 a bottle, and I would say it’s worth every penny. We all know that wines can be enjoyed with or without food. And we know that wines can be paired with food. But can wines be considered food? In the case of dessert wines, I think the case can be made. Instead of eating a bowl of vanilla ice cream and apple pie, try some or all of the following wines as an after dinner dessert, or as an aperitif(before dinner)- and as a wine! 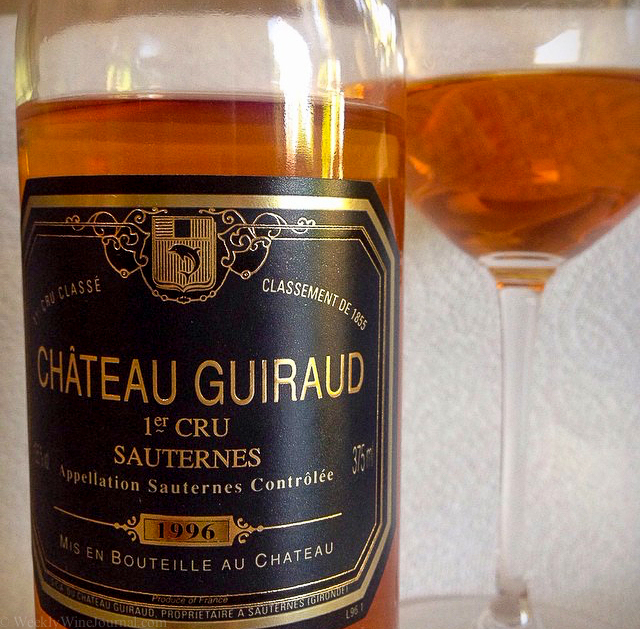 Chateau Guiraud is classified as a Premier Cru or “First Growth” in the Bordeaux classification of 1855. Normally you can expect to spend part of your children’s inheritance for a chance to taste a Premier Cru, but not so with Chateau Guiraud. I picked up the 1996 vintage at Costco on mark down for about $15! But that is a ridiculous price. The 2009 vintage retails for $60 but even that is a steal. 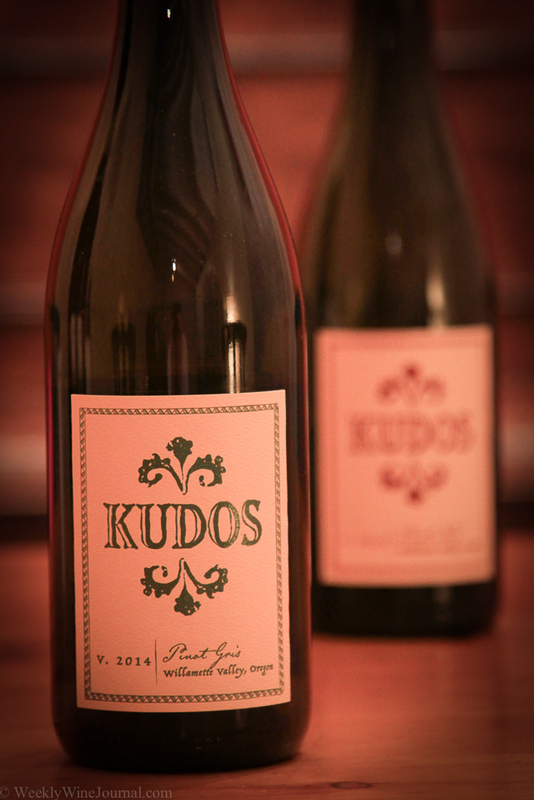 The ’09 was ranked #5 on Wine Spectator’s Top 100 Wines of 2012 and received 96 points. A 96 point Premier Cru for $60 a bottle?! This wine can be enjoyed before dinner. At about $20 – $40 for a 375ml bottle this wine is also a ridiculous deal. Other than the wine I am about to review next, this is my favorite dessert/aperitif wine. Something I’ve really gotten into lately is enjoying these dessert wines at the beginning of the evening and at the end. “Book-ending” your evening with these wines is a very interesting experience. 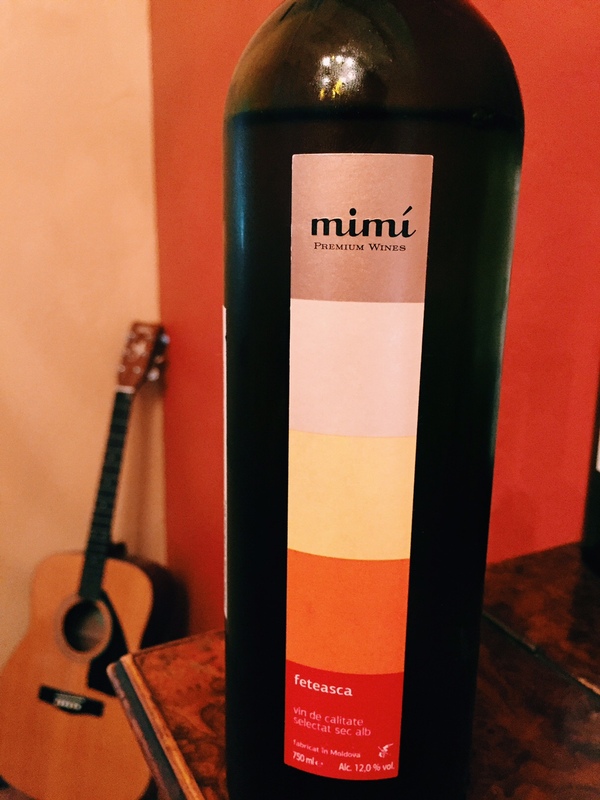 By saving half of the bottle for the end of the night, you really get to see how the wine evolves, not only from being open, but because of the interaction with your changing palate. After you’ve eaten a variety of foods and consumed a variety of beverages, returning to the wine you started with will be a very interesting experience. You may still recognize the wine, but you’ll definitely notice significant changes. 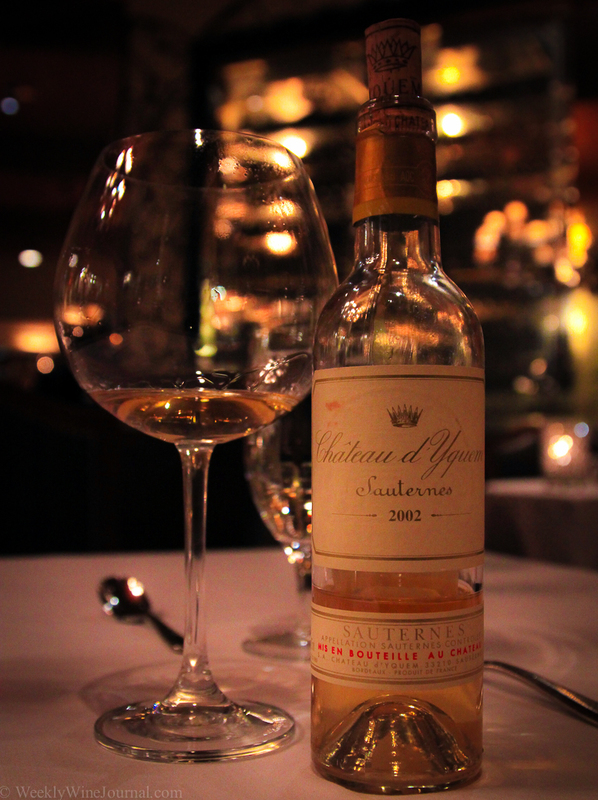 Last, but not least, Chateau d’Yquem, a.k.a. “The Nectar of the Gods” This is the most amazing thing I have ever consumed, let alone wine. And “thing” is a terrible way to describe it, but I’m a blogger not a poet laureate. 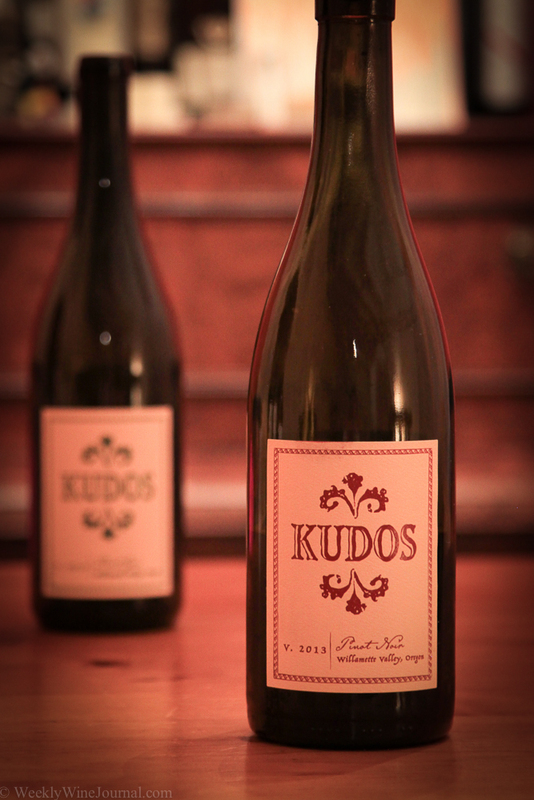 The critics including Wine Spectator and Robert Parker consistently rate this wine in the 95+ point range. In fact Robert Parker gave the 2009 vintage a 100 point rating. But wait there’s more… Wine Spectator rated the 2001 vintage 100 points, the 2011 vintage 99 points and the 2009 vintage 98 points. Everyone who’s serious about wine knows that points are not the be all and end all, but these ratings are hard to ignore. But don’t rush out and buy the wine just yet….get ready for some serious sticker shock. You can expect to pay well over $500 for a half bottle (375ml) for some of the better vintages. Or you could pick up the 2002 vintage which was only rated a measly 94 points for a meager $150+ per half bottle! Cain is located in the Spring Mountain district towards the north end of Napa Valley and east of St Helena. Cain is located about as close to the summit as you can get, although there is no summit and no particular mountain named “Spring Mountain”. Spring mountain refers to a geographical area in the mountains and hills to the east of St. Helena. I was greeted by Operations Manager J.J. McCarthy and whisked out the front door on a wonderful walk through the oak trees. The mottled sunlight played on the path and sparkled through the gaps in the canopy of the trees. We came out on the other side of the trail to an absolutely spectacular view. I was looking South East over hundreds of acres of vineyards in blocks on the steep slopes. Some of which appeared to be close to a mile away. Far in the distance I could see the valley floor. If you look at the top of this post, that’s the view I was looking at. The vineyard ranges in elevation from about 1,400 feet to a little over 2,100 feet above sea level. 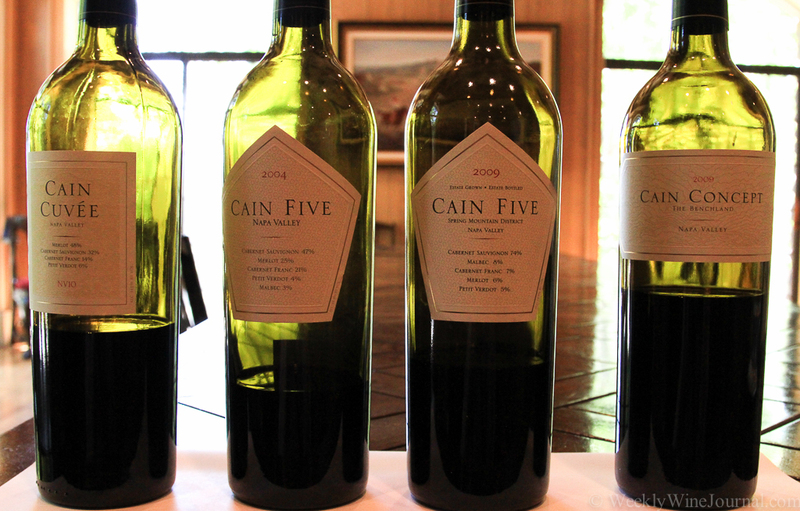 The land that Cain Vineyards is on can trace its roots back to the 1870’s. It was once a ranch that grew to over 3,000 acres. Unfortunately after over 100 years of farming and grazing the operation was no longer viable and the family was forced to abandon operations. They donated the majority of the land to create the McCormick Sanctuary which is part of the California Park System. In 1980, the Cains (Jerry and Joyce) purchased 550 acres of the remaining land and began planting vines. Their vision was to create wines using the traditional Bordeaux varieties. 5 years later, they released their first vintage. Eventually the Cains retired in 1991 and sole ownership was passed on to their business partners, Jim and Nancy Meadlock. During the tour J.J. was able to provide some interesting information. The men who tend to the vineyard are each given their own blocks, which they are responsible for rather than have the group responsible for the entire vineyard. This way each block is looked after by a single person, who can focus specifically on the unique aspects of the soil, the slope, the drainage, and any challenges and opportunities. In the mid 1990’s almost the entire vineyard had to be torn up and replaced due to the risk of phylloxera. The process took 4 years to complete, however there is still one small block that still remains of original root stock. After the tour we headed back to the winery and took a quick walk through the production facilities and then headed into the tasting room. There I tasted through Cain’s current offerings as well as some library selections and had a great conversation with J.J. We talked about all kinds of things, not just wine. But mostly wine. If you’re considering heading up to Cain for a tasting or tour try to get J.J. as your host. He’s warm and friendly, has a great sense of humor and he really knows everything there is to know about the history of the vineyard and the wines. But mainly he’s just a down to earth humble guy. I lost no time in asking J.J. about non vintage wines. Usually the hallmark of cheap wine, he assured me that this was not cheap and what the concept is. The concept is Cain has been working with the same vineyards and same vines, exact same rows for over 20 years for this wine. “Each year the vines are a year older…” according to the Cain website. The NV10 version is a blend of 51% 2010 and 49% 2009 vintages with a mix of 48% Merlot, 32% Cabernet Sauvignon, 14% Cabernet Franc, 6% Petit Verdot. The fruit was sourced from Gallegos in Rutherford, Stanton in Oakville, Nord-Trio C in Yountville, York Creek from the Spring Mountain District and Truchard in Los Carneros. The alcohol weighs in at 14.1% and the retail price is $34 a bottle. 11,230 cases were produced, but all of that appears to have already been allocated on the Cain website, you’ll have to track it down through wine retailers. The most obvious difference between the ’04 and ’09 is noticeable even before you taste the wine. The labeling. For some reason the ’04 does not have the Spring Mountain District sub AVA on it’s label. The fruit is sourced from Cain’s Spring Mountain Estate, it just wasn’t labeled so at the time. This wine also saw a release date long after the actual harvest. The wine saw 22 months in oak and a further 2 years in the bottle before being released in 2008. 4,623 cases were produced but this wine is now considered a “Library release” meaning it is only available on site at the winery itself. The blend on this wine is 47% Cabernet Sauvignon, 25% Merlot, 21% Cabernet Franc, 4% Malbec and 3% Petit Verdot. It was very interesting to be able to compare this with the ’09 vintage and see how aging works on the wine. The wine had calmed down considerably. Very refined, classic Napa mountain fruit. A quick 10 minute decant is all that’s needed, and if you’re visiting the winery you can rest assured they’ll do that for you. According to the folks at Cain, “Concept” is “about Cabernet Sauvignon grown in the classical Benchlands of of Napa Valley”. The fruit is sourced from Oakville: Beckstoffer’s Missouri Hopper vineyard, Rutherford: Beckstoffer’s George III, Morisoli Borges and Hudson vineyards, Carneros: Hudson vineyard, Atlas Peak: Stagecoach vineyard and St. Helena’s Stanton vineyard. The blend is 46% Cabernet, 26% Merlot, 15% Cabernet Franc and 13% Petit Verdot. Although they just stated that this wine is all about the Benchland cab, there is a significant amount of blending going on here. The simple purpose of doing this is to add complexity. They’re going for a concept here, the concept – extremely refined and complex Napa Valley Cabernet based wine. This wine hits on all marks.